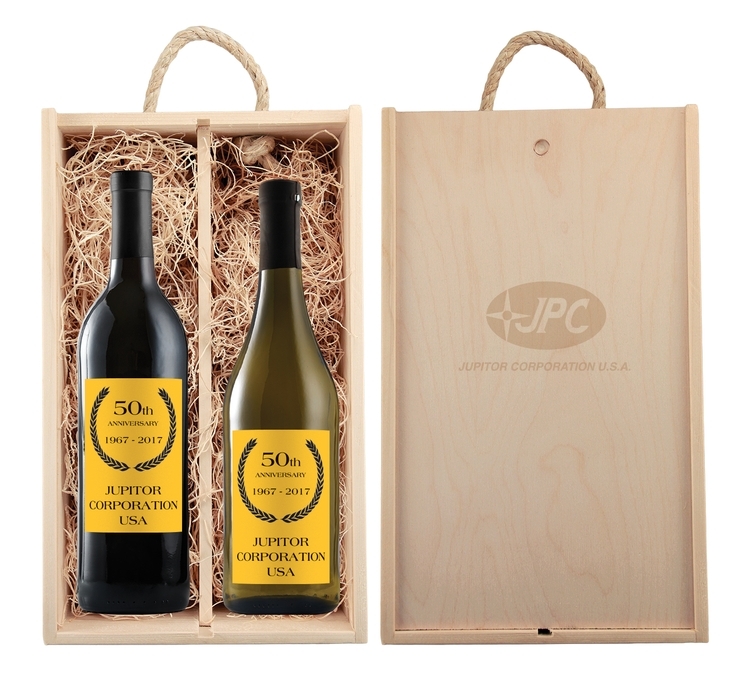 Gift set includes your choice of two wines with custom digitally printed full-color labels. Our slide-top wood box laser engraved with your message or company logo. Your bottles are nestled in excelsior wood shavings to complete the presentation. An impressive holiday or thank you gift for clients and friends. Contact us about upgrading to a name brand wine, French champagne, wax dipped bottles, or custom die-cut hang tags or card inserts. IMPRINT METHOD Digitally Printed Full Color Label Imprint option; Custom Die Cut Label IMPRINT SIZE 3" x 4"